Around this time of the year, every year I am faced with the same challenge; trying to find the right feature film to show to the fifteen and sixteen year olds who I teach a broad cultural education program to. Although the course as a whole covers all sorts of artistic disciplines I like to start the year if possible with a movie, for the pupils its familiar territory and compared to some areas of art and culture film is generally quite accessible to them. The idea is to watch a feature film together and then become engaged with a little film analysis to give them some insight and appreciation of the craft and practices of film making. I said at the beginning that I try to find a suitable film, well actually I try to find several. I teach three parallel classes of twenty five to thirty pupils, so this year a total of eighty two pupils, and importantly for me that means eighty two reflective essays at the end, each of around one thousand words. I don’t Think that I have to enlarge on what eighty two films about the same film does to your head when you’re marking them! So with this in mind I often return to films that have proved popular and effective in the past, but also try to add at least one new one each year. Last year I wrote here at some length about the response on my class to Asif Kapadia’s excellent documentary entitled Senna about the formula one racing driver Ayrton Senna. So struck was I by the class’ response to the film last time that I had no hesitation in showing it again this year to one off my three classes. Once again the atmosphere in the classroom at the end of the movie was amazing, a hushed stillness as the pupils took in and tried to order and evaluate the captivating climax of the film. So much of the average teenager’s entertainment world is often trivial, violent or superficial it is truly fantastic to show them something that has been constructed with such skill that the narrative that all the film fragments carry take us right to the heart of a high profile sportsman’s world, it’s pressures, it’s challenges and ultimately it’s horrendous risks. For many it was wide open eyes and hands on mouths at the end! You can find further reflections on Senna by clicking here and here for posts from last year. A second film I chose to use this year was Australian director Jennifer Kent’s excellent The Babadook. For several years I have wanted to take a look at a horror film with my fourth year groups. But trying to find an appropriate movie has been so difficult. Many teenagers in the fifteen to sixteen age bracket love horror films and have seen many. Others in the class though have seen virtually none or doubt whether they want to see one. Some pupils seem largely insensitive to the tensions of a horror movie whilst others struggle to cope. Add to this a personal requirement to only use a film that I feel comfortable myself showing, also keeping in mind that I too am a father of a fifteen year daughter. What wouldn’t I mind her seeing at a school screening? With all these points to consider it has been difficult, I’m not happy to show excessive violence, blood or gore, I am also cautious of using a film with a huge number of ‘shock’ moments. Finally though, The Babadook has come along and after watching for myself I felt relatively sure that this could be the one. It has more of a creeping tension, as with many of the best horror movies, the fear is more in what you imagine rather than what you actually see. It also makes use of a good number of ‘classic’ horror film elements, a scary domestic context, relatively innocent key characters, sound effects and ultimately a monster. All good stuff when it comes to critically trying to unpack the movie with the pupils afterwards. Below is a review of the film by Mark Kermode on BBC radio. As I write this I am half way through the class with class V4D. I offered an alternative film to anyone who really didn’t fancy a horror film. Three chose that option, which was fine, and a fact that went uncommented on by the rest of the class. I watched the first fifty minutes together with the class this week. I’ve already of course watched the film several times and so regularly found myself watching the pupils watching the film rather than focusing on the film myself! Viewers who when you looked at their faces were either transfixed by the action or turning continuously away. Were these pupils actually enjoying the experience? Or was it more a question of endurance? I worry a little about the third category, have they felt pressured to stay and watch? Are they wishing that they had chosen the alternative. I offered the choice again, nobody wanted to leave. When it comes to writing about their cultural experiences and their opinions pupils are in my experience extremely open and honest, so I expect I’ll get a clearer picture in the end, but for now it’s another forty five minutes of pupil watching as the climax of the movie comes closer and I look forward to the discussions afterwards! 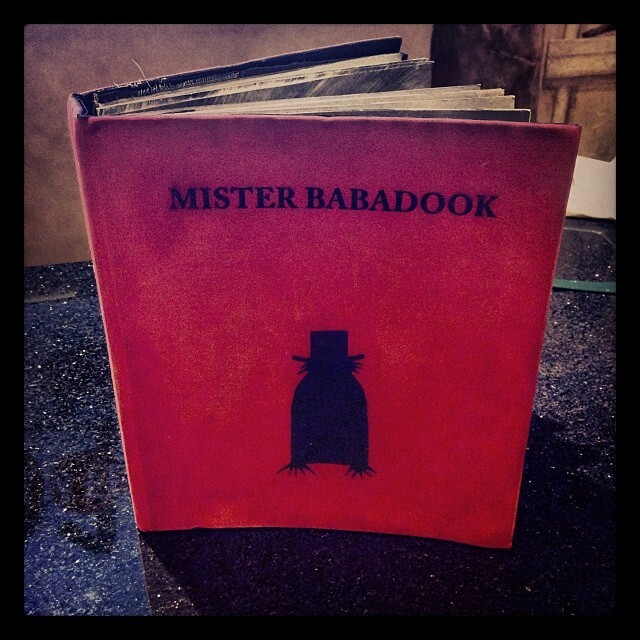 Hi, this week I am going to show bits of “The Babadook” to 19-year old pupils, I wonder if you have any further observations and notes about your pupils viewing and understanding the movie? Hi, I think the most interesting question is whether the Babadook is real or just exists in the minds of Samuel and his mum. Some of my 15 and 16 year olds could theorise about this others less so, but with a 19 year old audience I think that it can certainly be a good discussion. We also had good discussions about how our relationship with the two main characters developed and changed through the course of the movie……and where exactly our sympathies lie and why that is. All in all it was much enjoyed and I’ll be using it again next year……hope your students find it as fun!